These phenomenal brownies are based off of Canadian Living’s rhubarb cream cheese brownies. We weren’t able to find any rhubarb at any store we went to when we planned on baking these, so I substituted it with raspberries and thickened them to a compote. SO GOOD. Prep a parchment-lined 9-inch square pan. I didn’t have one, so I used an 11×5 inch pan, and that was a good amount in it. In saucepan, cook the raspberries and sugar over medium heat. It’ll take about 15 minutes for most of the liquid to be cooked out. You’ll want it to be solid enough to swirl into the brownies. Set aside to cool, about another 15 minutes. In a bowl, beat cream cheese with sugar until smooth. Beat in egg yolk and cornstarch. 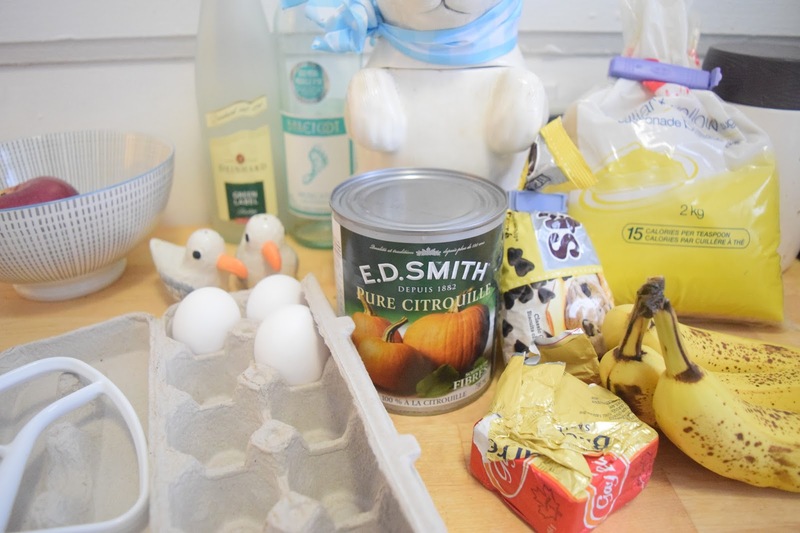 With the chocolate and butter mixture, whisk in sugar and vanilla, then eggs, 1 at a time. Mix in the flour and salt. Alternate between spooning the fruit mixture and cream cheese mixture on top. Use a knife to swirl it. Bake at 350*F for about 40-45 minutes. Yup, they’re phenomenal. SOOOOOO good. We brought them to Nic’s aunt and uncle’s for dinner, and they loved them so much they wanted us to leave some for them to eat the next day. Score. Last week there was a very rainy, cold day, so I knew I had to make something warm. 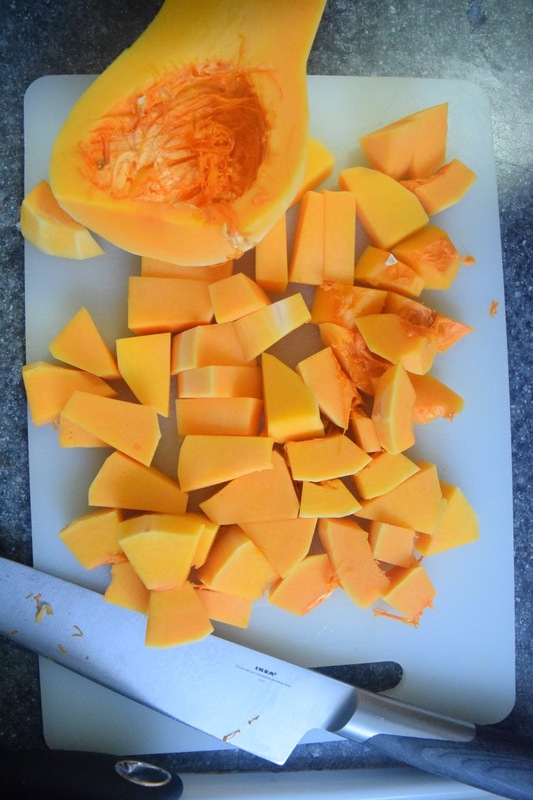 Nic had brought home a butternut squash, and I found a super easy crockpot recipe, so that was an easy decision-crockpots make things very convenient. I also hadn’t baked any bread since moving to Toronto, so I figured that was the day! 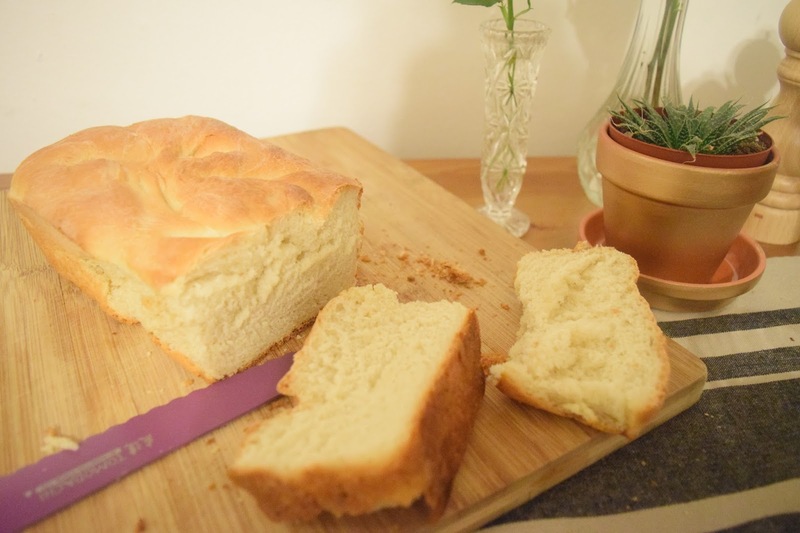 The recipe I used makes one loaf pan, perfect for the two of us. 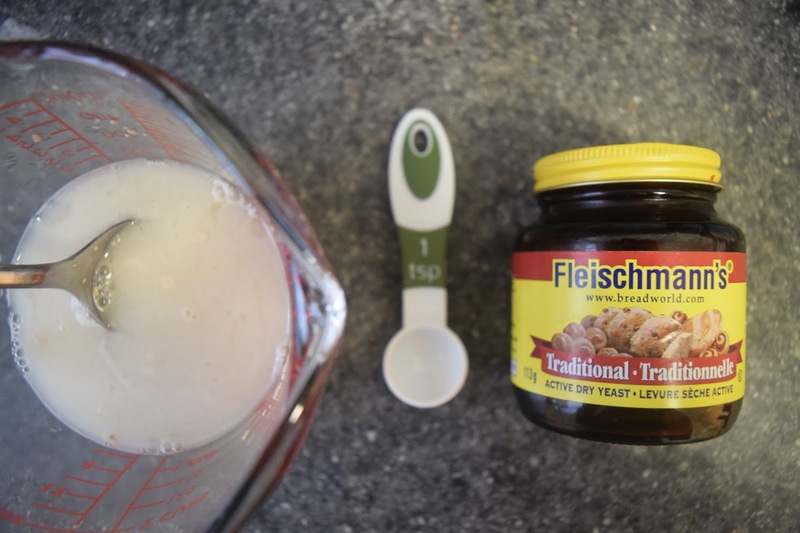 In a bowl of warm water, dissolve the yeast. If it starts to get gloopy, it’s working! 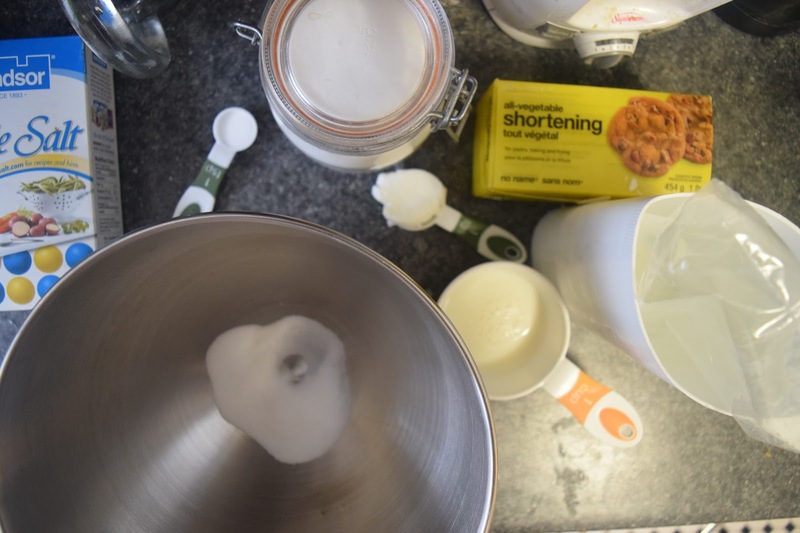 In a large bowl, combine salt, sugar, shortening, and milk. 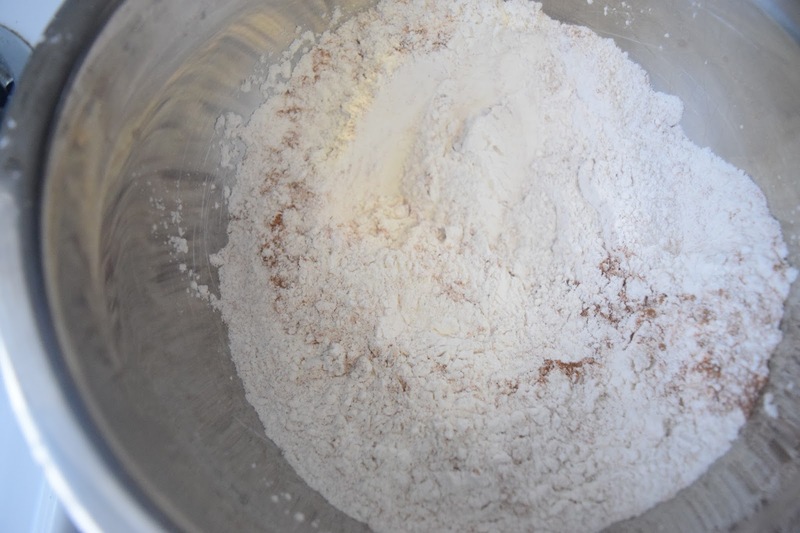 Slowly combine 2 cups of flour into the bowl of dried goods. 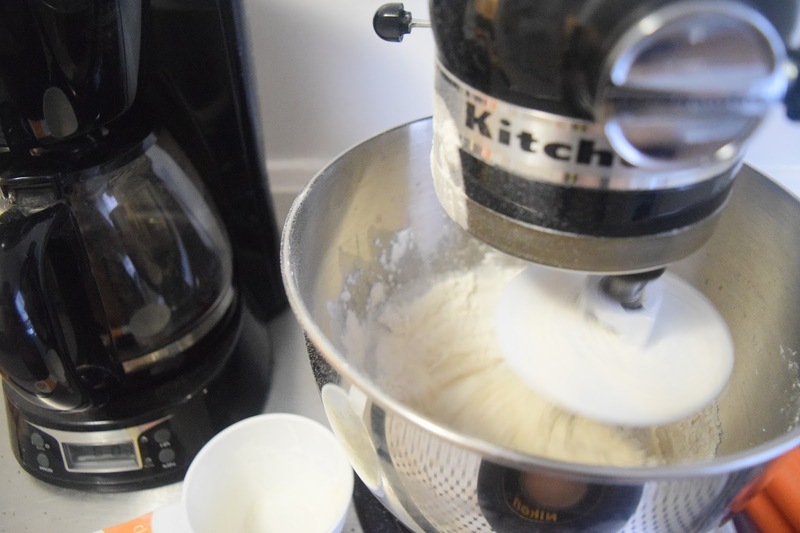 On a floured surface (or in your stand mixer) knead the dough until it is soft, not sticky. Getting the right texture for the dough can be challenging. For years I baked bread and kneaded it by hand, so I now can tell just by looking at it if it’ll turn out right. 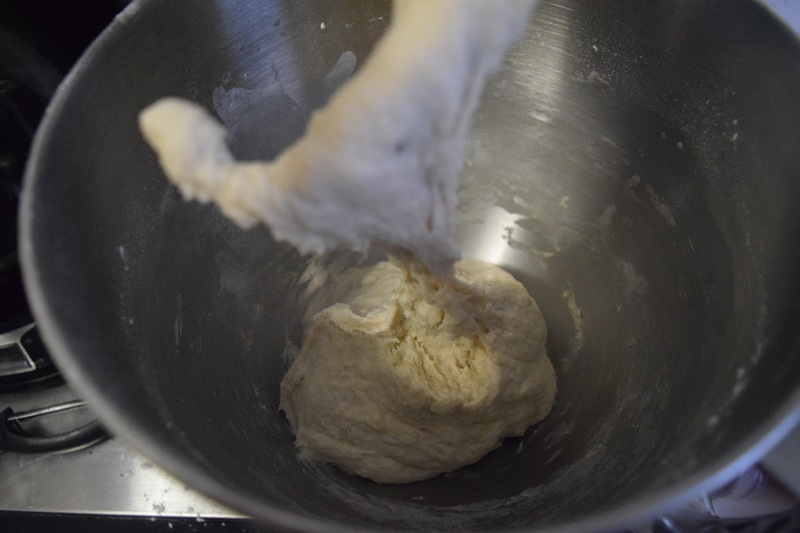 You want the dough to be sticky to the touch, but easily pull off the sides of your bowl. Butter a large bowl, and put the dough inside to rise for an hour. 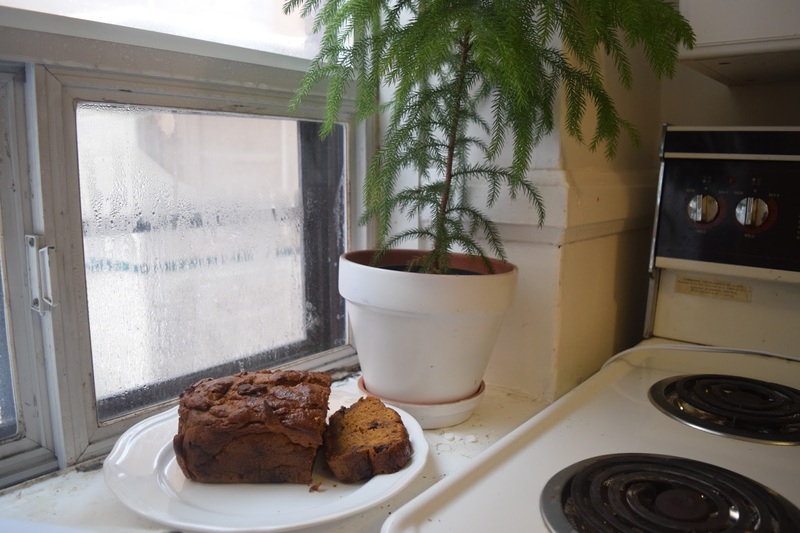 If you have a sunny windowsill, cover the dough and place it there so the warmth will help activate the yeast. Another option is to put it in the oven with the light on. 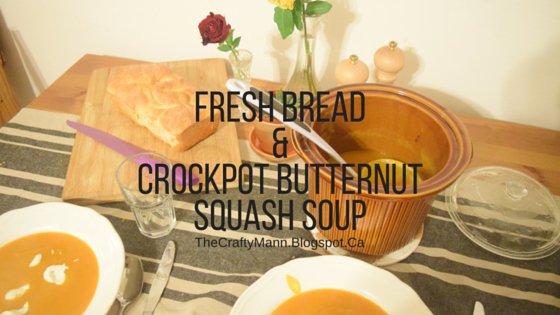 Punch down the dough, and transfer to your buttered loaf pan. Let it rise for 30 minutes. Pre-heat the oven at 375*F.
“Score” with 3 cuts across the top, and bake until golden brown, about 45 minutes. This time that I baked it, it was almost done around 30 minutes, so I tented it with foil to make sure the outside stayed the same, but the inside baked more. Time to start the soup! Check out the original post on Gimme Some Oven. Peel, de-seed, and dice the butternut squash. Prep the rest of the fruits and vegetables. Add everything into the crockpot and stir. Cook the soup on low for 6-8 hours, or 3-4 hours on high. 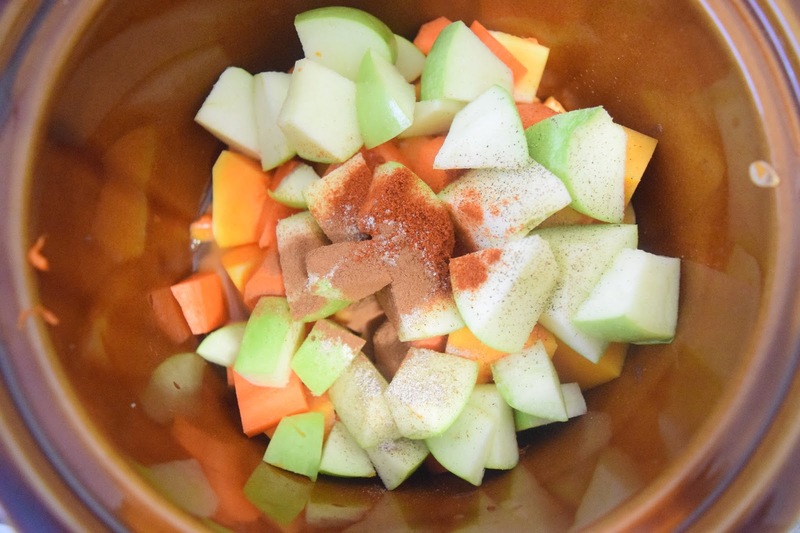 Once the soup is cooked and the ingredients are softened, blend them up. If you’re using an immersion blender, make sure the sides of the container are much taller than the height of the soup! 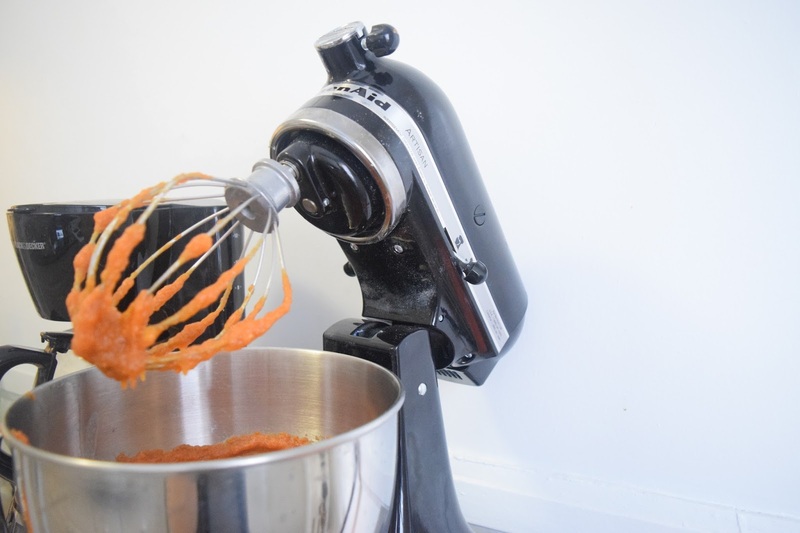 We’re lucky enough to own a Blendtec, which can blend up the hot soup all in one go. 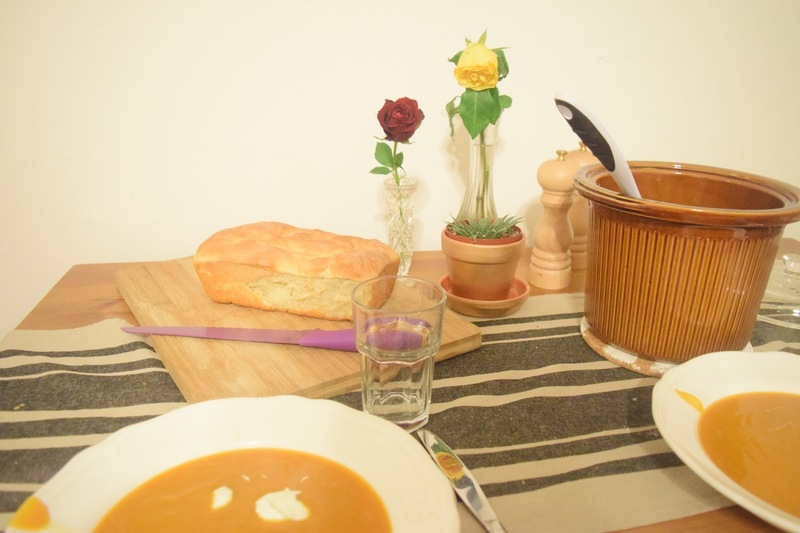 Fresh bread and delicious soup is always a good decision on a cold day! You can add coconut milk, regular milk, or sour cream to the soup when eating it to get a little more creaminess. I already miss that bread! A year ago I bought myself Martha Stewart’s Pies & Tarts book, and have loved baking everything possible. I’ve kind of fallen off baking quite as much, because Nic and I have no willpower when it comes to baked goods. If it’s there, we’ll eat it all. Right away. Oops. 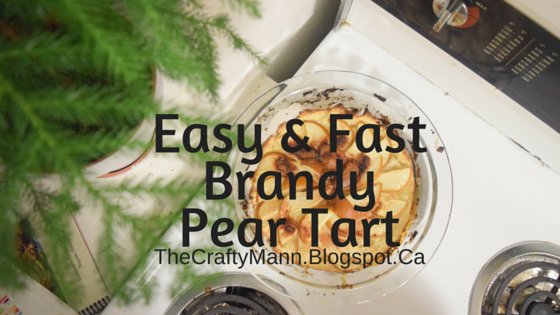 A lot of people get initimidated making pastry, and it does take practice, but this pear tart is incredibly easy: you’re not even making traditional pastry, so it’s a lot less finicky. 1. Preheat the oven to 400*F.
2. 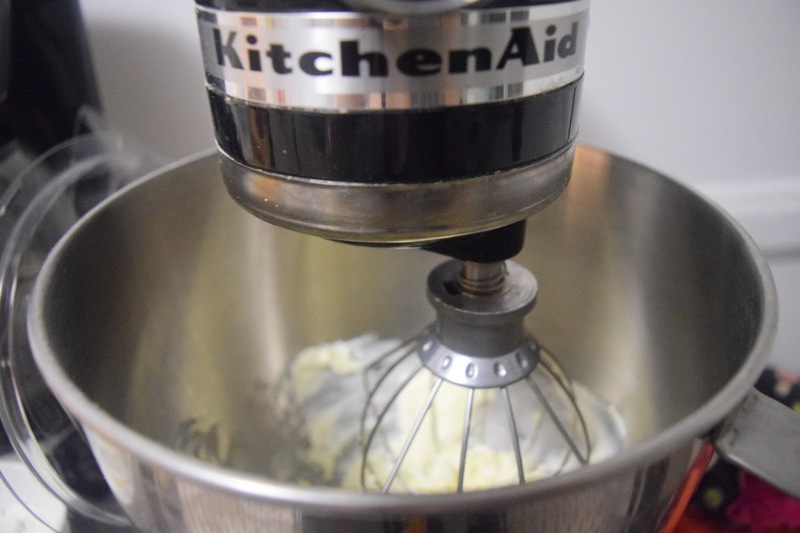 Combine cream cheese and butter in a food processor, stand mixer, or in a bowl to use with a hand mixer. 3. Add the flour, 1/4 cup the sugar, salt, and process until combined. Dough will stay sticky, so don’t be worried. 4. Line a rimmed baking sheet, pie, or tart plate with parchment paper. Put some flour on your fingers and pat the dough in, it will be pretty sticky and messy. 5. Halve pear lengthwise, core, and cut into thin slices. Keep the skin on. 6. 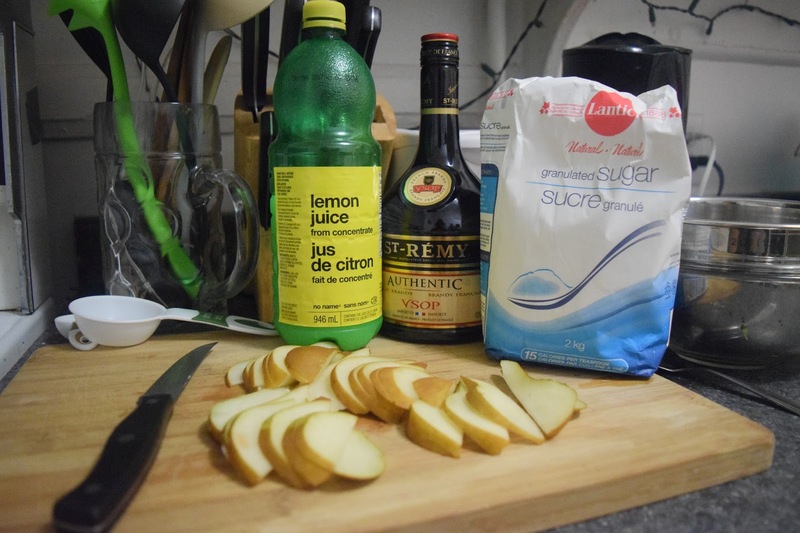 In a bowl, mix 1/4 cup sugar, lemon juice, and brandy. 7. Soak the pear slices in the mixture. When you’re plating it, shake the excess liquid off. 8. Arrange the pear slices around the outer edge in whichever pattern you like, and then add another layer until you’ve placed all pear slices. 9. 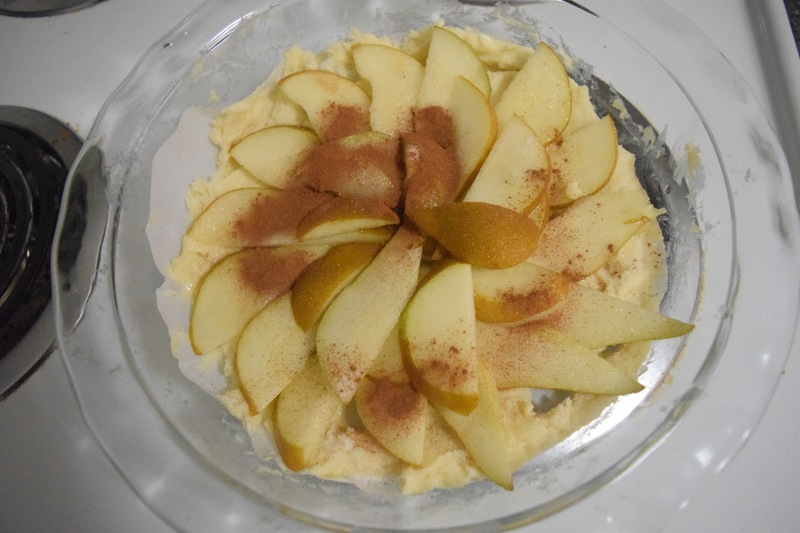 Sprinkle tart with 1 tablespoon white sugar and the cinnamon. 10. Bake until golden, 25-30 minutes, making sure you rotate it halfway through to get an even bake. 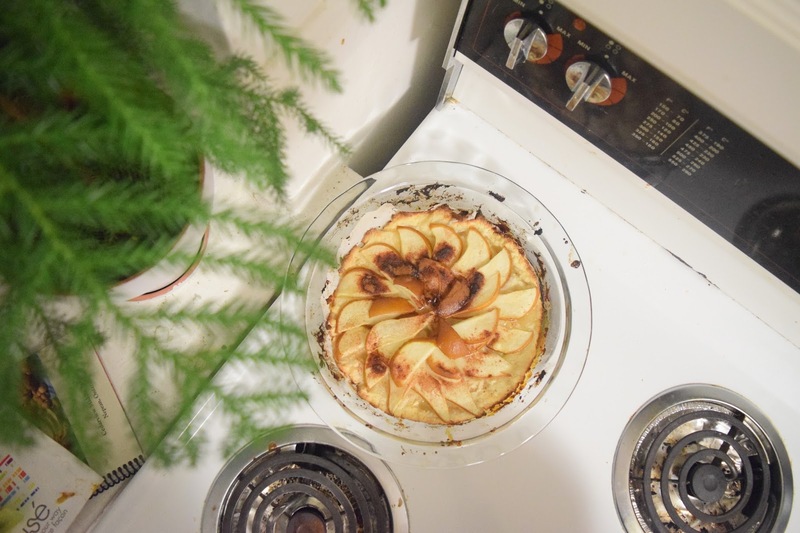 Yes, this pear tart is as delicious as it looks. We did finish it in one go. Oops. You can enjoy it warm or at room temperature. 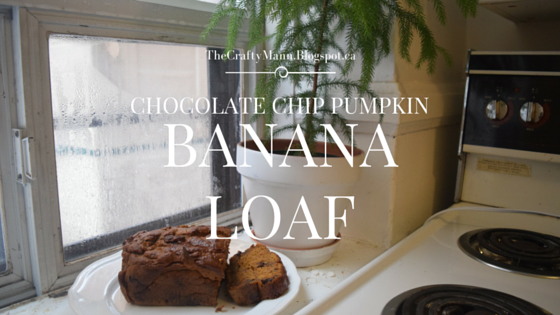 One of my favourite recipes is this pumpkin banana bread loaf. I’m not sure where I found the original version, but since then I’ve played around with it and love baking it for people. 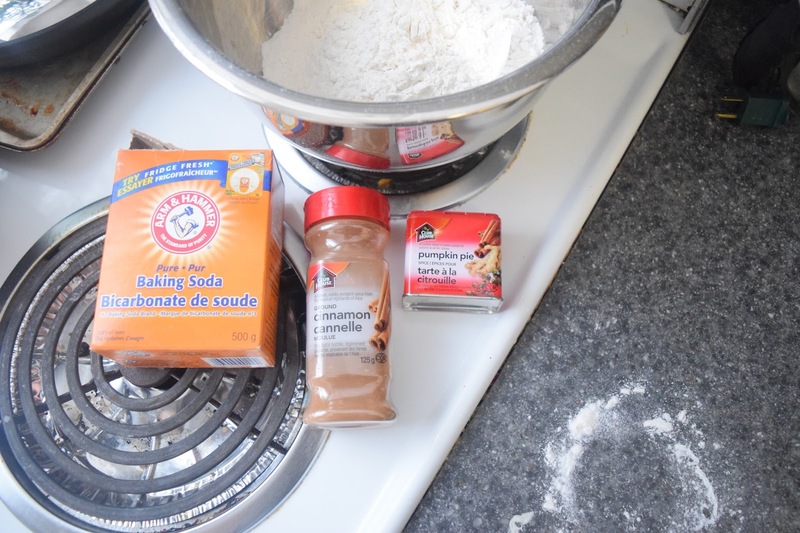 1) Mix all the dry ingredients together: flour, baking soda, salt, and spices, in a medium-sized bowl. Pre-heat the oven to 350*F.
Mix the wet ingredients in a separate bowl- I used my KitchenAid for this part. 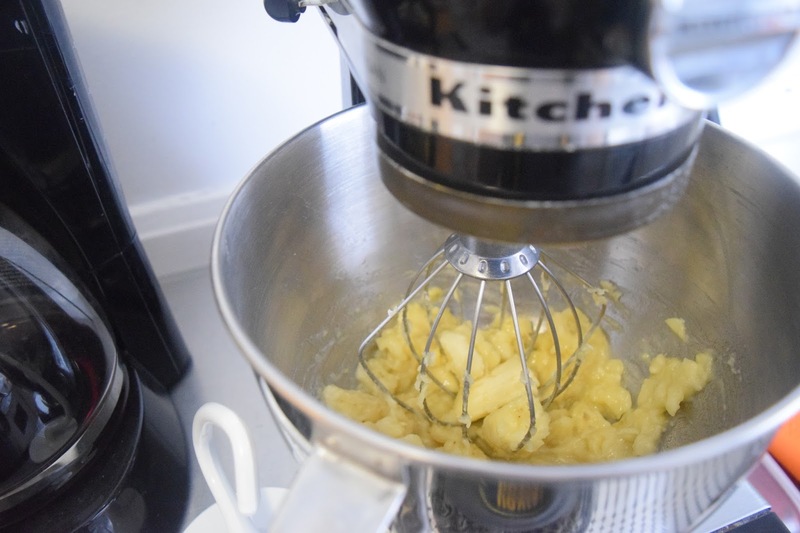 2) Mash the bananas with a spoon, for, or mixer. 3) Beat in the softened butter, brown sugar, pumpkin puree, eggs, and vanilla. 4) Slowly add in the dry ingredients, followed by the chocolate chips and/or nuts. 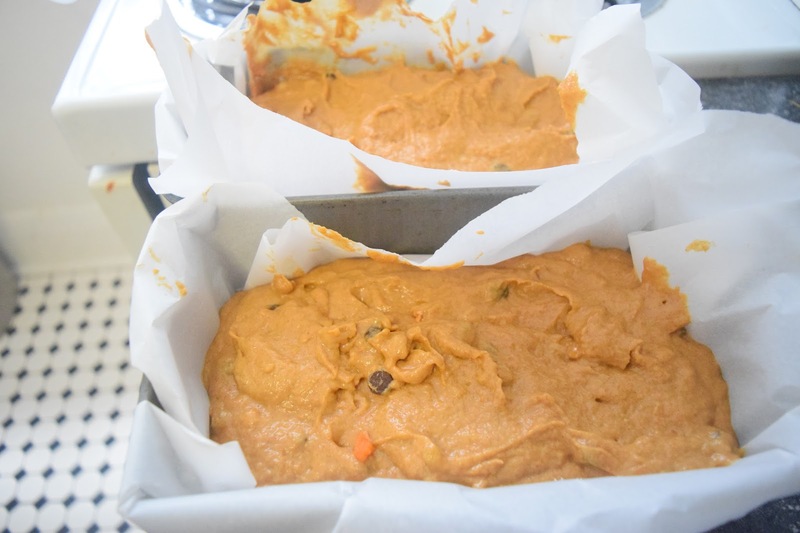 5) Pour the mixture into two 9×5 loaf pans. I used parchment paper because I was bringing one of the loaves to my friend’s house that night. Make sure it’s all smoothed out. 6) Bake at 350*F for about an hour, rotating the pans throughout. Check the loaves with a clean knife since it’ll stay pretty moist for a while. Oooohmygoodness, I love this loaf. Every time people try it, they fall in love. For good reason. I have two usual breakfasts, oatmeal or protein pancakes. 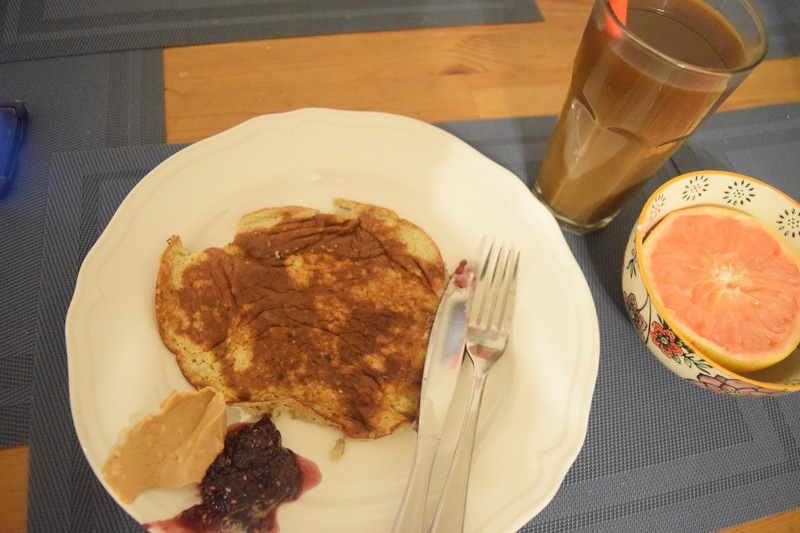 I discovered these banana egg pancakes through Blogilates back in 2nd or 3rd year university, and have loved making them ever since. Somehow with one banana to one egg, it tastes like pancake and not scrambled eggs. Mash the banana and egg together. I like to use my Magic Bullet for minimal effort. Heat margarine or butter in the pan at medium heat. Pour the pancake(s) onto the pan and cook until browned and solid, then flip. I top mine with peanut butter or jam. For Christmas I asked for matcha green tea. I’ve always wanted to get some, but it’s more expensive than usual tea, so it wasn’t in the budget. 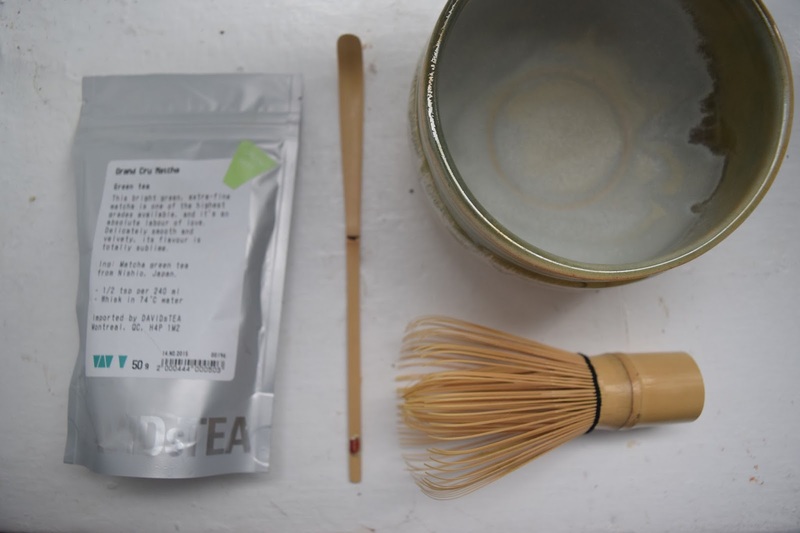 Nic’s parents bought me Grand Cru Matcha from DavidsTea, They also got me a bamboo spoon, whisk, and a bowl from Teavana to prepare it in. In my year before university, I worked full-time at Starbucks. 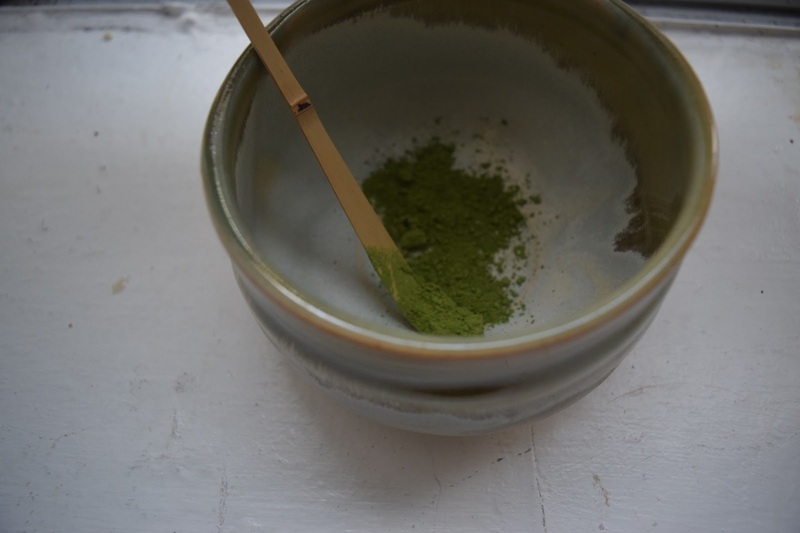 I got very frustrated cleaning the container for the matcha powder, so I decided I needed to test out my nemesis (it poofs powder everywhere if you’re not careful). It turned out to be delicious! 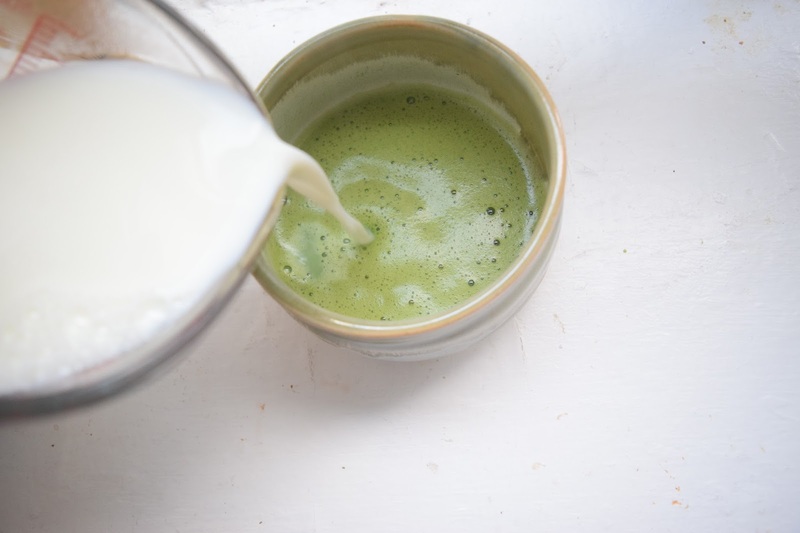 Matcha is essentially the espresso of green tea: it’s super highly concentrated, so with just hot water it can be pretty overwhelming if you’re not a plain green tea drinker. Some people sweeten it with agave or honey, but I like it the way it is. 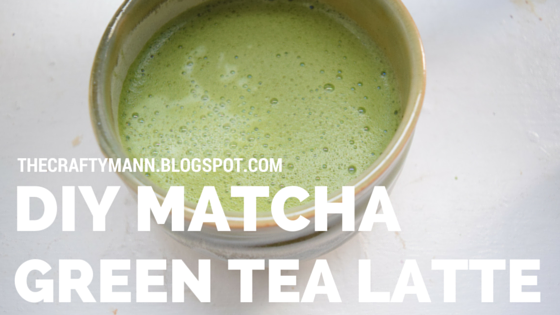 There are lots of health benefits to matcha, so check them out! 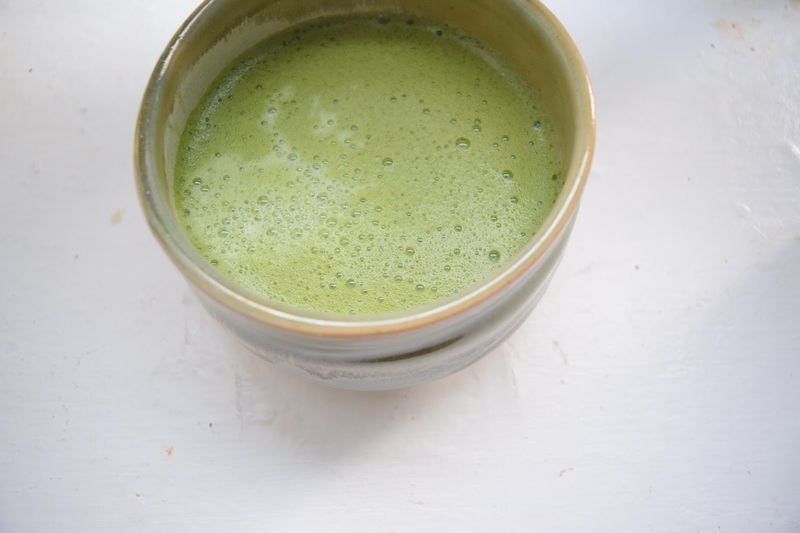 To make the green tea latte, start with a couple scoops of matcha, and mix it with a tablespoon or so of hot water. 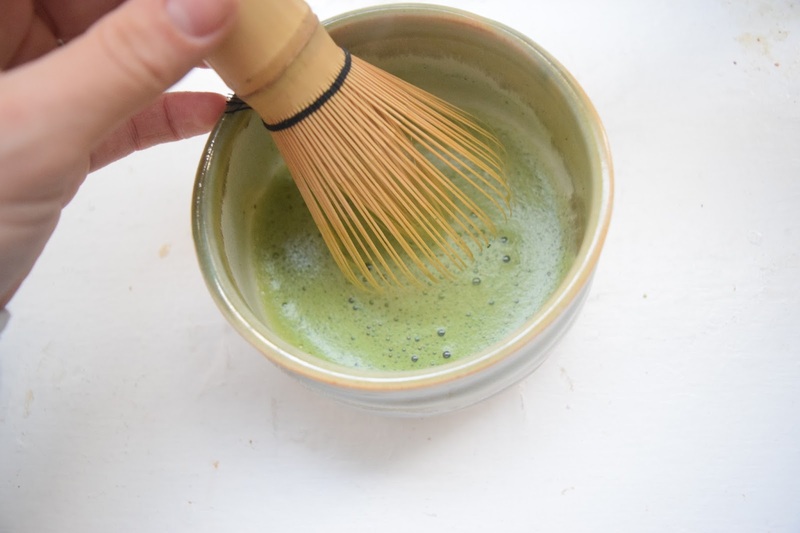 Whisk the matcha and hot water well, to remove any chunks, and get that beaaaautiful froth going. You can use a regular whisk, of course, but since I got this adorable bamboo one, I had to use it. I heat up the amount of milk that I want on the stove or in the microwave, and gently pour it into the frothed tea. Obviously you can pour it into a real mug and drink it from there, but I love how beautiful this bowl is, so I just drink it straight from there. Let me know if you’ve tried them before or make them at home!